Alpinestars SMX-6 V2 vented or SIDI Cobra Air Boots? Boots Different brands, experiences, etc. NOTE: Please use the Classifieds section if you have items For Sale or WTB! So my waterproof Alpinestars SMX-5 boots are about toast after 6 or 7 years of use. Great boots, but now that I live in Texas again I don't feel the need for WP boots as they get quite hot due to lack of airflow. I still plan on keeping the boots for cool/rainy weather as I may take them to get spruced up/repaired by a cobbler. I am now in the market for a vented boot for hill country carving duties w/an occasional track day here and there. I've narrowed down the candidates to two: Alpinestars SMX-6 V2 vented and the SIDI Cobra Air. They are similar in price and seem similar in protection. I'm looking for any personal experiences for those that may have one or the other (or both). Appreciate the comments in advance. Re: Alpinestars SMX-6 V2 vented or SIDI Cobra Air Boots? Both very good - Alpinestars tend to fit better than Sidi for riders with wide feet. The sole on my Sidi came off! Not that that can’t happen with any boot, but I’m not all that pleased with them. got the smx6 v2. LOVE THEM. except.....I made the mistake of getting the "middle" version. not the vented, not the waterproof. great for cooler dry days, but bit warm on hot track days. should have got the vented version. Stop diving with them and they may just last a little longer. I had the same experience with my Sidi Vortice boots. Ticked me off because I loved the micro adjusters so much. 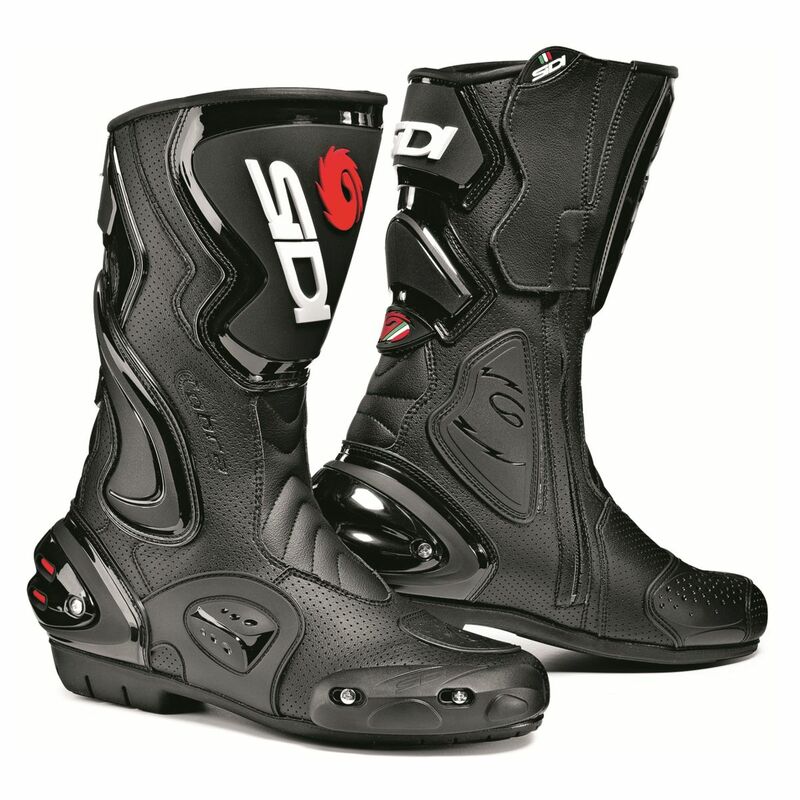 So much in fact that I bought a pair of the Sidi Mag-1 Air boots. Someone that I talked to this summer (might have been BruceV) mentioned that they sent a pair of A* back to the manufacturer for re-soling. I'd like to do the same with my Vortice's but have not been able to find anything leading me to believe that Sidi offers this service. So I ended up getting to try on both pairs of boots at a motorcycle apparel shop and although the narrowness of the SIDIs didn’t bother my narrow feet, the lining of the SMX-6 V2’s just felt plusher. I honestly like the looks of the SIDIs better but the A stars just felt nicer and higher quality and the protection looked more robust. With a thinner liner I’m sure the SIDI’s will flow more air but the vented A stars will definitely be an improvement over my current WP SMX-5s. So long story short, I bought the A star SMX-6 vented V2s. Looks and feels like a quality boot that will (hopefully) last as long as my previous A stars. So I remain a Shoei head, A star hands and feet and Dainese two piece perfd leathers. Now I need a new Shoei RF-1200 and possibly a Scorpion GT-920 flip-up for my first modular. Xmas is coming, Santa are you listening? It was me - I send my boots back to get resoled and whatever else needs repair. My track boots are the Supertech R's the best boots out there in my opinion. The reason I send them back for resoling is because I have AP rearsets and the pegs are razor sharp(they really are) and by the end of the season the soles are cut up pretty bad. They charge about $100.00 for the service both boots - typically they also replace the heel/toe sliders if they are beat up as well. Bruce can you please share more details on the A* resole/refurb service? My SMX-5’s are in need of some TLC but definitely aren’t ready for the trash bin. 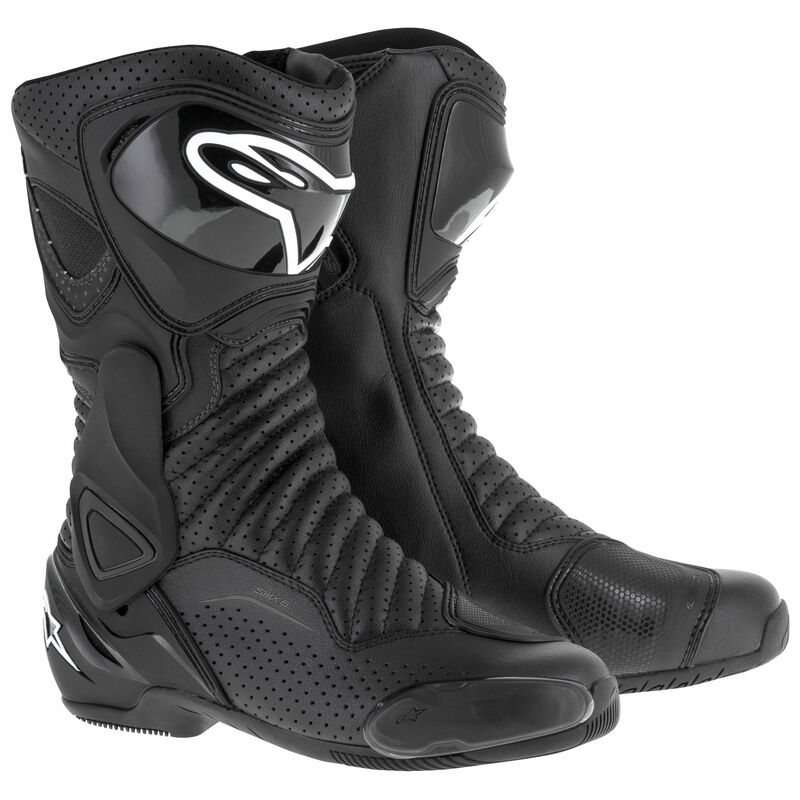 Mike call Alpinestars customer service and they will send you a shipping # to send the boots in. Tell them what you need and they will send you an email with a quote. Typically it is about a 3 week turn around - about a week shipping time each way and they take about a week to turn them around. You pay to ship the boots to them they pay sending them back - well at least that has been how it worked in the past.